you are right, the release notes are old, and the offline docs are not complete. we had the choice either to release now or push 192 into 2014 because not everything was documented. but the online documentation is updated all the time, please use that one. Thanks Broozar, actually what motivated me to post the question is that the online documentation seems also outdated. Will be checking often. may be a pretty dumb question, but where is the download link for the stable version of ShiVa 1.9.2? In the beta section when I hit stable page I go to the download site... no link there... or should I just download the beta release...very confusing...?? http://www.nifty-inspirations.com, because simple things are hard to find! If you went to stonetrip.com, login, you've got to see your licenses management, your downloads, and your order history. If not, then contact the site admin or support. 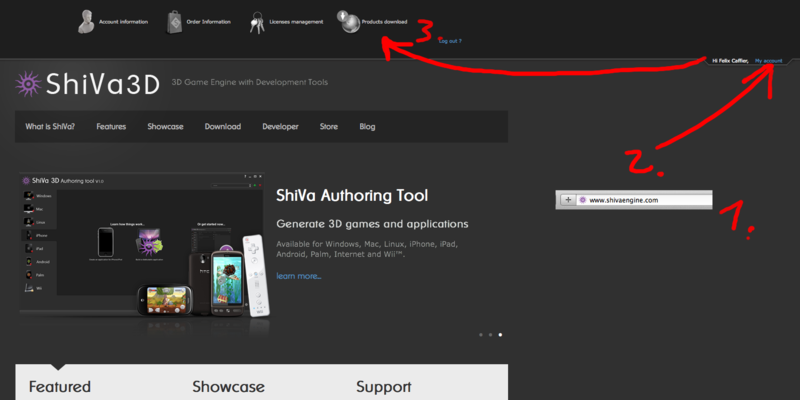 Markuzzzz wrote: may be a pretty dumb question, but where is the download link for the stable version of ShiVa 1.9.2? In the beta section when I hit stable page I go to the download site... no link there... or should I just download the beta release...very confusing...?? I'm assuming that the latest beta is the same as the final release. Broozar stated that if no bugs were reported then it would be pushed out as final. I have just stuck with the latest beta for now, but perhaps my assumption is wrong? it seems like it has been so long since 1.9.1, everyone forgot where they can download the stable versions and manage their licenses! Well.. for me, this great update just breaks my game.